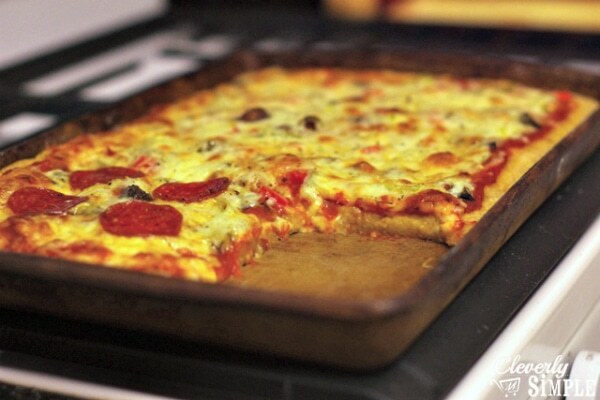 My hubby and his brothers grew up eating homemade pizza every Friday night. His mother knew how to make pizza crust and would turn them out faithfully during the hours of their infamous “Risk” tournaments. 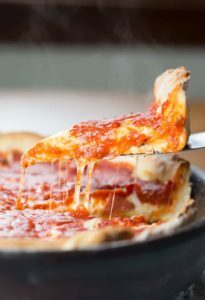 Years later, he will tell you that those pizzas were the forefront to the games and her one bowl pizza crust with cornmeal crust played the leading role. Before leaving home for college, my husband asked his mom to show him how she did it. 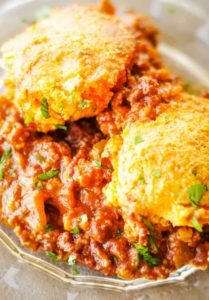 Now this recipe is a go-to in our family and I’d like to share it with you! Made with both cornmeal and garlic salt, it has great texture (crunchy on the outside; soft on the inside) and the taste? Let’s just say you’ll often find our butter dish on the table next to the pizza. This crust with butter slathered on it could easily be its own main course. The best part? It’s simple, requires just minutes of your active time, and is made in the same bowl from start to finish. Start out by putting 2 ¼ tsp regular yeast into a large bowl. Pour 1 cup warm water over the yeast, stir, and let it sit 5 minutes until bubbly. 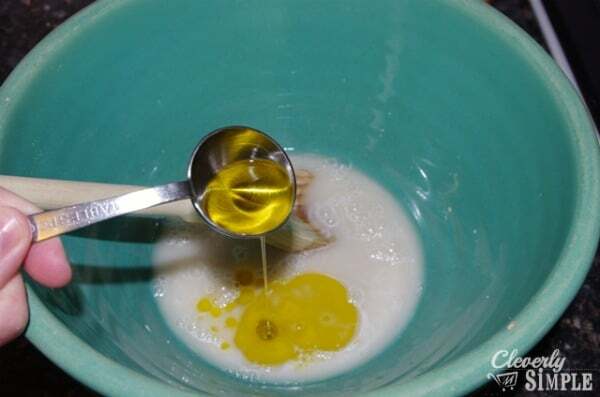 Add 2 TB olive oil, 1 tsp garlic salt and 1 tsp sugar to the bubbly mixture and stir. 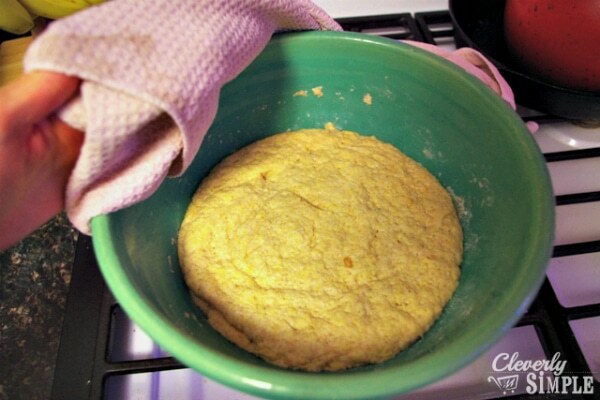 Add 1 Cup white flour, ¾ Cup whole wheat flour (can sub more white flour) and ½ Cup cornmeal directly to the bowl. Stir together until you reach a dough consistency. Grab some more flour with your hand and knead the dough for about 30 seconds until you get a soft ball that leaves indentations with the touch of your finger. Cover the bowl with a large towel soaked in hot water and wrung out. 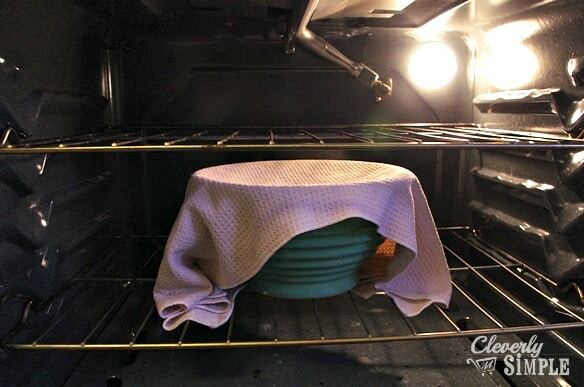 Place the bowl into a cold oven with the oven light on. Go do something fun for the next hour and come back finding your dough is twice the size! 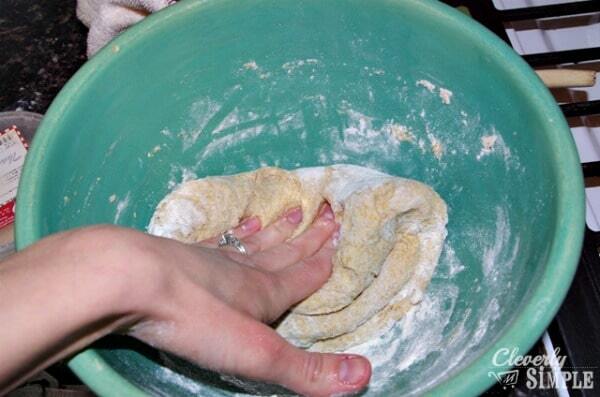 Flour your fingers again and spread the dough evenly on a large pizza pan, greased with a dash of olive oil. Preheat your oven to 425 degrees. Decorate with sauce, veggies, cheese and pepperoni, in that order. Make sure to leave naked crust at the edges so you can butter it up! Bake for about 20 minutes until golden and glorious. 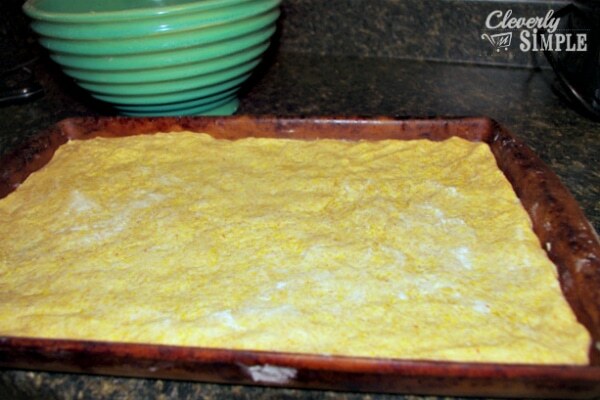 Make your own pizza crust using cornmeal. I delicious and crispy alternative to take out! Start out by putting 2 ¼ tsp regular yeast into a large bowl. Pour 1 cup warm water over the yeast, stir, and let it sit 5 minutes until bubbly. Add 2 TB olive oil, 1 tsp garlic salt and 1 tsp sugar to the bubbly mixture and stir. Add 1 Cup white flour, ¾ Cup whole wheat flour (can sub more white flour) and ½ Cup cornmeal directly to the bowl. Stir together until you reach a dough consistency. 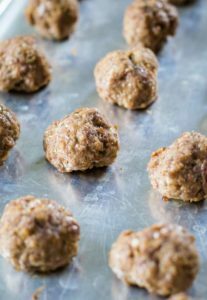 Grab some more flour with your hand and knead the dough for about 30 seconds until you get a soft ball that leaves indentations with the touch of your finger. Decorate with sauce, veggies, cheese and pepperoni, in that order. 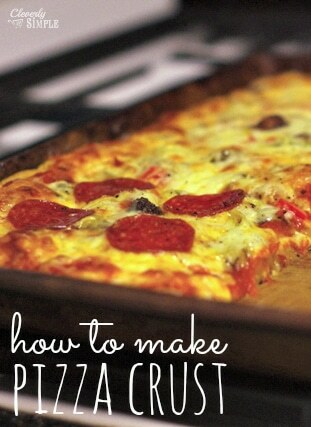 Make sure to leave naked crust at the edges so you can butter it up! Next time you are at a garage sale, look for a ceramic bowl that is at least 9.5 inches in diameter at the top. The size allows you to knead right into the bowl (save clean up!) and ceramic keeps its warmth in the oven. Want even more flavor? Mash some dried oregano, basil and rosemary. Add to the dough when you add the flour. Look for sales on stone ground cornmeal (We use Hodgson Mill) rather than your typical finely ground. Makes such a difference in texture and taste! 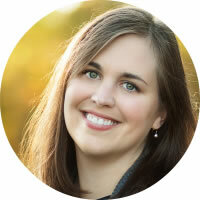 My sister, Meredith is going to start sharing some of her awesome recipes with you (and me!) 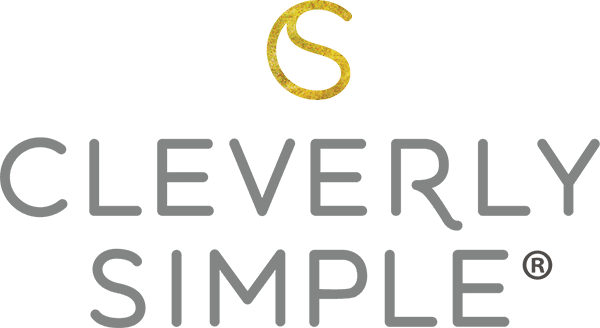 right here on Cleverly Simple. She makes some really cool things, so I’m excited that she’s willing to share her expertise. 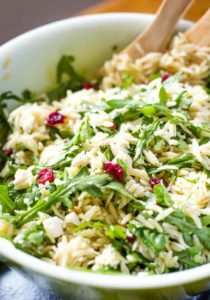 If you like recipes like this one, make sure to let us know in the comments below.